Are you looking for good family friendly movies? I know that I am always looking for good quality movies for my kids to watch. I like that with the Veggie Tales movies I do not have to worry that if I leave the room they will see or hear stuff they shouldn't with these movies. Not only are these movies good for kids but also teach them Christian values something very important to my family. 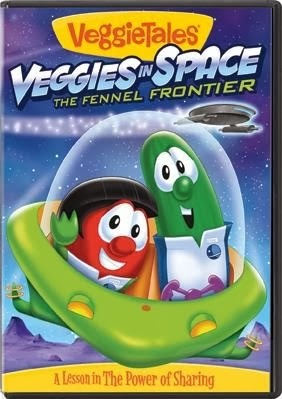 The newest Veggie Tales adventure takes the dynamic duo of Bob and Larry into space in The Fennel Frontier. Veggies in Space The Fennel Frontier teaches the kids a lesson in the power of sharing! Join Captain Cuke and his loyal first officer Mr. Spork as they embark on an out of this world adventure to bravely travel where no Veggie has ever been. The entire USS Applepies crew takes on Luntar the Looter, a power stealing space pirate, but they're in for a big surprise when they find out what's motivating him! My kids loved watching Veggies in Space! They love anything that has to do with space and astronauts so this was right up their alley. I loved that it was teaching them the importance of sharing something that most kids struggle with. I know my kids struggle with sharing and this movie helped show them how God wants them to share and the importance of it. How would you like to win a copy of Veggies In Space: The Fennel Frontier for your family? Then just simply fill out the form below and GOOD LUCK!! My kiddos love Veggie Tales! I would love to win this for my son. He LOVES Veggie Tales. I'd like this for my dd! My 4 yr old love veggie tales (and outer space) so he would love this! 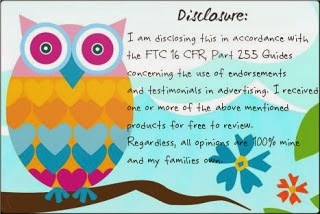 I'd like to win this for my son & daughter!